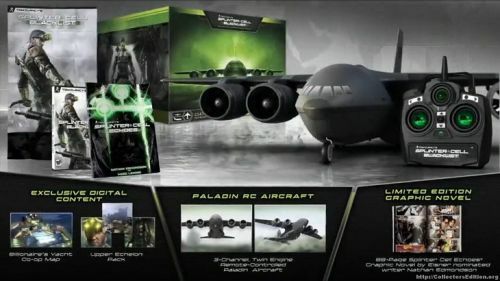 The big goodie in this bundle is the remote controlled Paladin Aircraft carrier airplane (the one that serves as Fisher and crew’s home base), featuring a 3-channel controller and high-speed dual engines made for top performance. 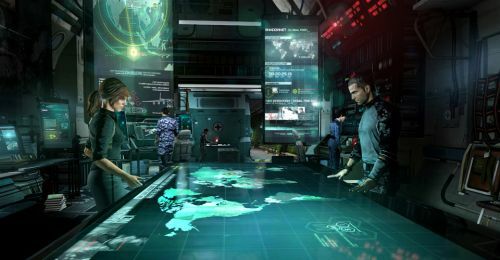 The remaining items include the Tom Clancy “Echoes” graphic novel: an 88 paged prequel to the game, and the all exclusive “Billionaires Yacht” co-op map. The level is just like you’d expect to look like: a high profile, nightlife yacht with all the class in the world. Finishing off the “Paladin Collector’s Edition” is a limited edition Blacklist poster featuring the box art of Sam Fisher. The bundle is going for $169.99 in very limited quantities, so preordering is a must. Considering a remote controlled plane and all of the other digital content included, the price isn’t all that bad if you can afford it. If not, the "Echelon Edition" is still available, or you can look forward to just the game itself releasing on August 20th. Either way, Blacklist is looking to be a hell of a co-op game for 2013. Page created in 0.2890 seconds.